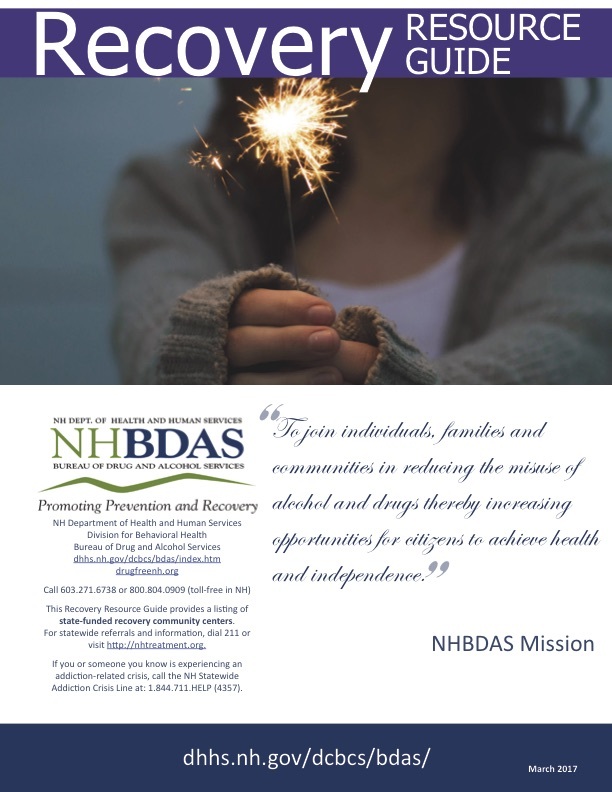 The State of NH did a fantastic job producing this NH Recovery Resource Guide. NH State did a nice job of producing this NH Addiction Treatment Guide. Keep in mind, please, this is not a complete guide to services in NH. This guide provides only treatment centers that receive state funding. Click HERE to view the entire guide.